I just finished my first full week of teaching!!! Woo Hoo!! I'm so excited to share my classroom experience with all of you! I currently have 7 students, but will be getting another student soon (he had to prove residency first). Most of my students have autism as their primary disability and are pretty high functioning. On average my students are at about a first grade level just to give you an idea. So, welcome to my classroom! I just (finally) added the student "mailboxes" (the orange boxes - yes, the free ones from Wal-mart). These are ESSENTIAL because otherwise I have student folders and communication notebooks all over the back counter... and I know one of my students will really appreciate this, as he was always going to the back of the room and straightening up the mess back there! :) Students can also keep their binders and "thunderbucks" (our school money - reward system) in their mailboxes. I love it. Also, you might notice that my bulletin boards are kind of empty - that is not because I'm lazy! I wanted to leave space so we can put up things that we are working on and so that students can display their work. I am also collaborating with our school's speech path for social language and we discussed putting conversation starters and the like up on that bulletin board! Want to see what some of my IEP sheets look like? Check out IEP goal sheet examples HERE. 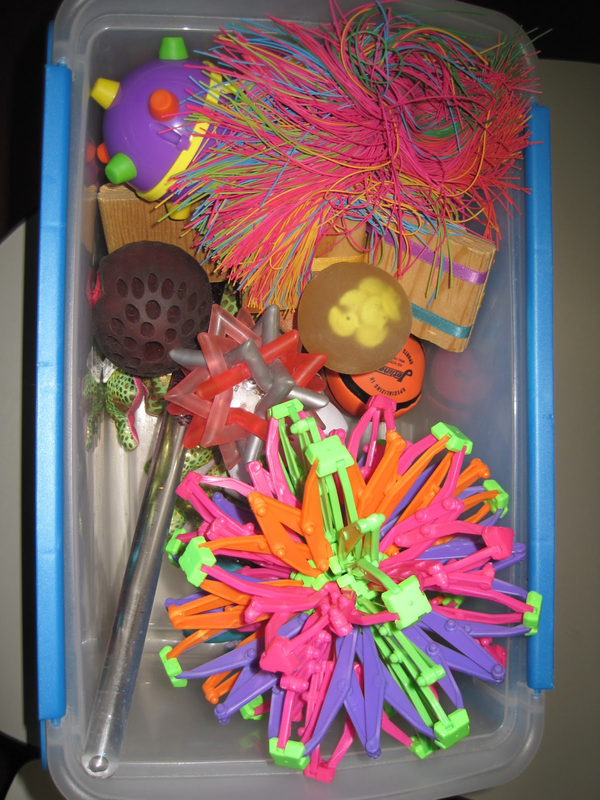 Next, my sensory toys, or fidgets. These are SO popular! They are great for students who need to do something (positive) with their hands. It can be very relaxing and calming for many students. All students have IDs to buy lunch and what not, and after some students kept forgetting their IDs at home, I decided to keep them at school. So here they are with the hooks from the dollar store and a sign explaining what to do. I have found if I put signs up, students are so much more likely to remember what to do than if I just tell them verbally. Here's my classroom rules if you would be curious in that. I know they are nothing pretty. I quickly wrote them in about 5 minutes before the first day of school. They seem to cover all of the bases so far! And...my desk. See my easy button? :) It's so fun! It was given to me from my college supervisor after my student teaching experience. And over on the left, the wooden box thing (it has a nice little apple decoration on the front) is from my very first teaching aiding experience when I was a sophomore! Let's get a close up of my pen holder! It's my favorite. I have a wonderful mentor who made both the holder and the flower pens for me on my first day of school. LOVE!!! Here's the book corner I showed you when I first started it out. I added some pictures to the boxes (I know some of them still need pictures...I'm working on it!) and also moved around the cubes. I like it better this way. Next to the cubes are puzzles and games that students play during homeroom and resource. I think everyone should organize their books this way! It's awesome because students first choose their category and then their book. They don't have to do as much looking around to find what they want. Arthur and Disney are currently the most popular, with Dr. Seuss coming up at a close second! See my 2014 classroom here and details of my 2013 classroom here! they look great!!!!!! thanks for sharing!! Love your room it looks great!!!!!! I found your blog through the Silly Sunday Blog Hop...& I look forward to reading more....cute classroom!! LOVE your classroom! It's so cute and organized! Have a great year!!! Just stopping by from the Whatever Wednesday blog hop! I spent my first two years of teaching as special education teacher. Your room looks great! I'm your newest follower on GFC and look forward to reading more posts about your classroom! Cute blog! I absolutely love how you use Velcro on your calendar. Totally something I'm going to have to do - ASAP! Thanks for the idea with the boxes. I'll have to do that next year. I love your classroom, just found your blog and I'm now following! 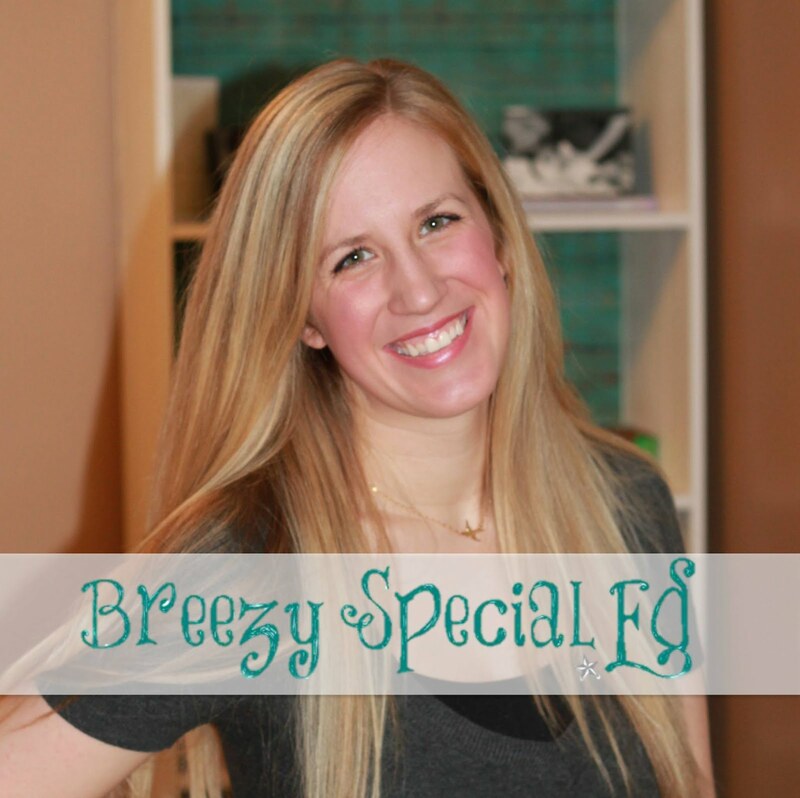 I'm a special education teacher in Michigan I'd love to have you drop by my blog if you get the chance! What sort of form do you have on the clipboards to track data?